Me and 2 of my friends , Dhruv and Sanket participated at NIT Surathkal in a contest called Automata. The task was to get the robot to traverse the maze. A Laptop was connected to an overhead camera . The laptop solved the maze, plotted a virtual path and directed the robot successfully to the center. 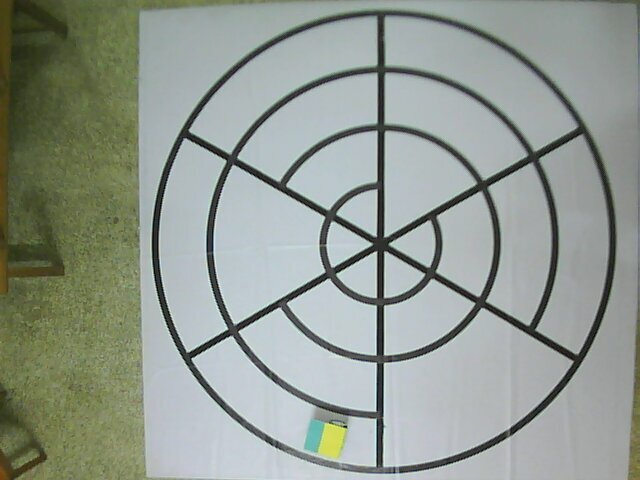 The three yellow dots are the center of the maze and the two colored blobs on the robot. 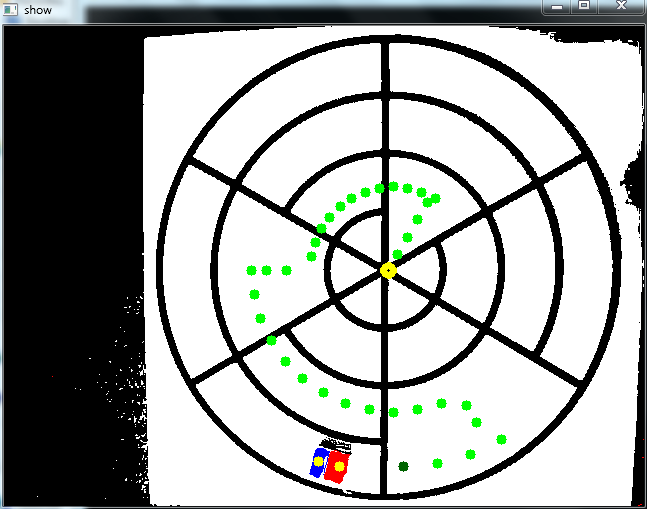 The green dots represent the path that the robot is supposed to follow. Python, OpenCV for Python and wxWidgets.The computer directed the robot over Bluetooth, communicating through pySerial. What is the principle of the maze? Should the robot cross a minimal number of lines? The robot had to find its way to the center. Can you please share how you used bluetooth with python and also how did you made bot follow the virtual path. We used pySerial. A bluetooth device is just mapped to a virtual COM port, you can connect using that. To follow the virtual path we kept track of the robots location and direction and turned it to point the next point and drove it forward.